Google Docs is based upon the premise of file sharing and on-line collaboration. You may have noticed they still offer the opportunity to download a document for printing. Over the years I’ve heard colleagues confused about which file format to use when downloading to print or share electronically with others. Theoretically Google Docs was created to be shared without having to save it as another file extension. 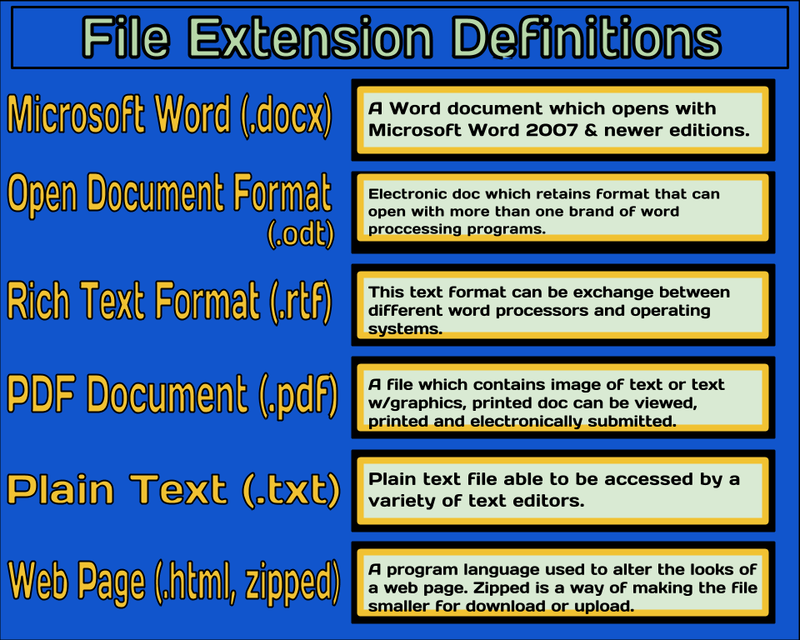 Below is a basic chart explaining the different file extensions. My only recommendation is if you’re downloading to print it seems the PDF extension works the best.